Keto Italian Butter Shrimp - Best Healthy Shrimp Recipe Ever! Keto Italian Butter Shrimp – Best Healthy Shrimp Recipe Ever! Most requested shrimp recipe! This is the BEST shrimp recipe you will ever try. Amazing flavour with lemon, Italian seasoning and butter! Wow, have you tried this recipe yet? It is so popular and I get requests for it almost daily! This is a much sought after recipe, so make sure you save it for later. This is my favorite way to eat shrimp and it’s so simple to make it this way. It’s great to make for a crowd because you can make a whole pan at once. 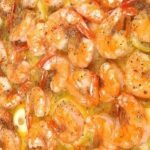 These shrimp are keto approved so you can enjoy these as often as you like and stay on your ketogenic diet. Shrimp are one of my favorite foods so I am so glad they are super healthy as well! I highly recommend this recipe to any shrimp lover out there! These are a hit every time I make them, which is frequently. 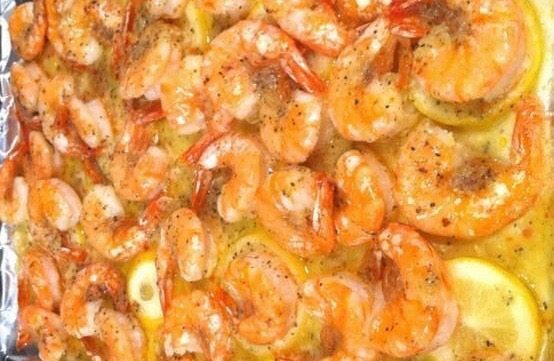 My kids love shrimp and when we make them this way I’m sure they could eat the whole pan themselves. This is definitly a family favorite. I love following a Ketogenic lifestyle. With the help of Keto OS I am able to stay on track every day and feel amazing! It doesn’t have to be boring either. This is a lifestyle that is easy to follow while eating food that are tasty and healthy. With the help of Keto it is easy because even if you aren’t really strict about your diet, Keto OS will keep your body in ketosis no matter what you ate before you drink it. Now that I drink my 2.1 Orange Dream and Keto Max I know I don’t have to worry as much if I want to have a cheat day because Keto is always there to help me! Everyone keeps asking me for this Italian butter shrimp recipe. These are the best shrimp youâ€™ll ever eat. Theyâ€™re so flavorful. Put in the oven and bake at 350 for 15 min. By chance is the packet Italian dressing mix? I am not sure what a packet of dry Italian seasoning is? Yes, it is Italian dressing seasoning, the kind that is used to make Italian salad dressing, not the Italian seasoning you find in the spice section. Sounds so good will make this week ! This is so quick, easy, and delicious! Thank you so much for sharing this. I added mashed cauliflower with bacon & cheese for the side and it was the perfect meal! can you use frozen shrimp. If so, how would you change thngs? They have to be thawed first (and patted down with paper towel) or they will be very watery. This dish was sooo good! I also love that it takes no time to prepare. Kudos to you, and thanks for sharing. What about cooked shrimp? Can you use cooked shrimp? This is so good! I make a it also with Old Bay Seasoning sprinkled on top instead of the Italian since we all like the Old Bay. Easy too!